NITC has been the leader in the qualifying of medical gas installers for brazing since the early 1990’s. 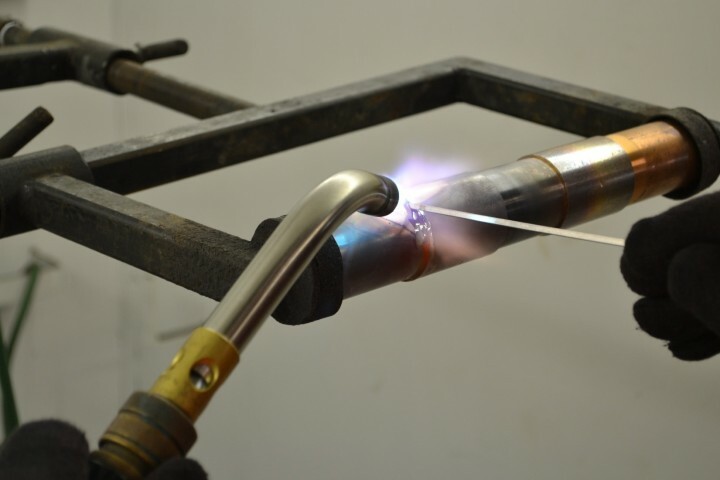 From the start NITC had a single practical test for brazing which became the industry standard for the qualification of ASSE 6010 Installers. As the requirements for Brazing of Medical Gas and Vacuum System piping have evolved over the years, NITC has found it necessary to implement some important changes that (1) reflect the most up-to-date industry practices and (2) ensure compliance with the changes to the codes and standards. NITC has recently qualified additional Practical Braze Tests to cover the full range of copper tube sizes used for the installation of Medical Gas Systems as required by the latest editions of the NFPA 99 Healthcare Facilities Code and ASME Section IX Boiler and Pressure Vessel Code. The additional NITC Medical Gas Braze Tests listed within the table below may be used for the Performance Qualification Testing of Medical Gas Brazers. To qualify for the ASSE 6010 Medical Gas Certification, the candidate must achieve a passing score on the NITC 6010 Medical Gas Installer written exam and successfully pass the practical brazing component; following the instructions within the NITC BTS15 Braze Test Specification. Additional NITC Braze Tests may be qualified during the same braze session, however, the ASSE 6010 Medical Gas Installer/Brazer Certification may not be awarded until the written and BTS15 practical exams have been successfully accomplished. Continuity of initial and additional braze qualifications are maintained by Continuity Form for Brazer. Braze qualifications remain in effect indefinitely; however, a lapse in continuity will require re-qualification of each previously held credential. For additional information on NITC Medical Gas Brazing, please contact an NITC Representative by calling 888-234-6834 or by email at brazing@nationalitc.com.